Hello everyone! This is Cassandra from Creating with Color by Cassandra. Have you ever engaged in or been the recipient of a Random Act of Kindness? They are just so much fun and bring a smile to everyone's face. So today I decided to make a few fun RAK treats to share with you. 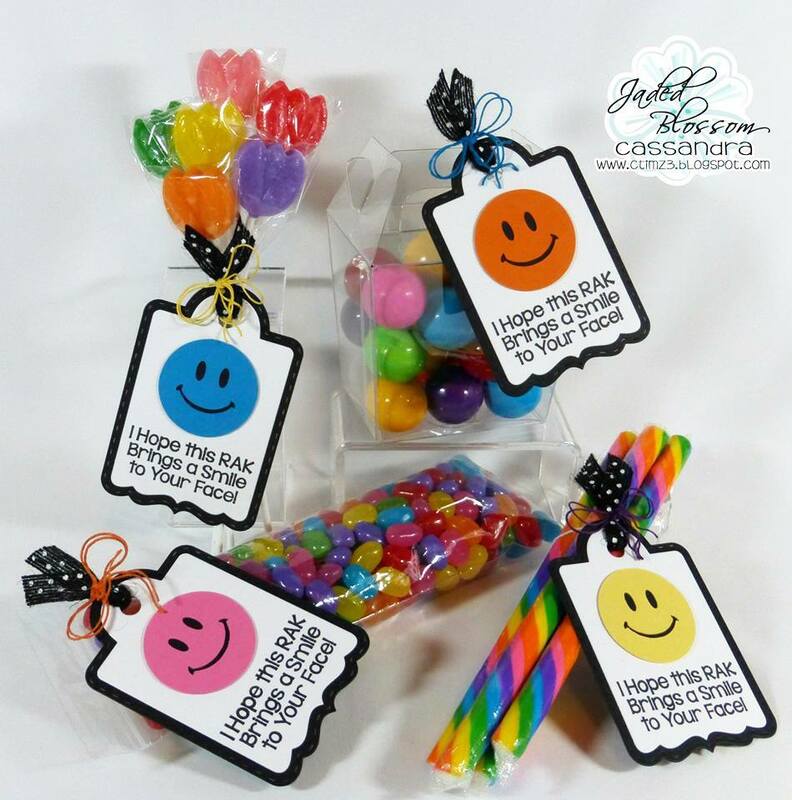 To decorate each treat, I used the Jaded Blossom ~ Treat Tag Die. The perfect sentiment is from the Jaded Blossom ~ Random Act of Kindness. And as an extra little bonus, the SVG Cutting Files ~ Happy Smile Face is a FREEBIE!!! So head on over there and pick it up!!! :) Woot! Woot! So super cute and bright ~ love them!! Awesome RAK's! !